David & Sherry are Canadian and destination wedding photographers serving Toronto, Vancouver, Kelowna, Kamloops, Okanagan, Muskoka, Owen Sound, Collingwood, Banff and destinations worldwide. 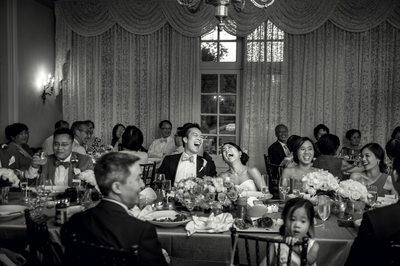 We specialize in capturing photos for weddings using timeless lighting and fashion inspired posing and emotion. We are well known for our Couplescape photo sessions and incorporating a little bit of Vanity Fair meets National Geographic. We are equally comfortable and inspired in the finest hotel wedding venues and mountain resorts and back country weddings. We offer wedding coverage across Canada without any additional travel expenses. 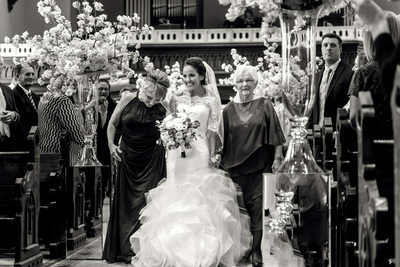 If you are looking for one of the best wedding photographers in Canada we do photography at weddings in Vancouver, Whistler, Victoria, Burnaby, Coquitlam, New Westminster, Maple Ridge, Mission, Harrison Lake, Surrey, Delta, Langley, Abbotsford, Chilliwack, Hope, Merritt, Kamloops, Salmon Arm, Chase, Vernon, Kelowna, West Kelowna, Osoyoos, Oliver, Revelstoke, Chase, Golden, Banff, Lake Louise, Jasper, Canmore, Calgary, Edmonton, Saskatoon, Medicine Hat, Lethbridge, Winnipeg, Toronto, Owen Sound, Sarnia, London, Collingwood, Bracebridge, Gravenhurst, Huntsville, Kitchener, Waterloo, Guelph, Richmond Hill, Tobermory, Markham, Ottawa, Montreal, Quebec City, Charlottetown, St. John, St. John's, Moncton and Fredricton. Sherry and David love travelling across Canada. We love being inspired by new scenes, venues and destinations. 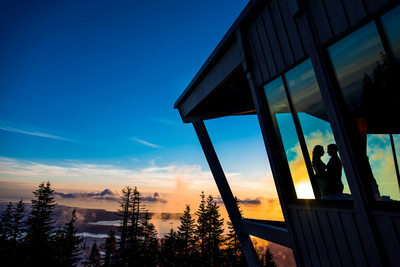 We have been found all the way on the west coast of Canada at the peak of Whistler and all the way east on the shores of Prince Edward Island. Canada contains so much beauty and we want to include inspiration for our work from all that Canada has to offer. We have the beautiful prairies of Winnipeg and Saskatoon, the eastern shores of Newfoundland and Nova Scotia and the stunning Canadian Rockies of Alberta and British Columbia near Calgary and Vancouver. Send us a message and we would love to talk to you about your wedding. The largest of our Canadian major cities is where we got started in photography just shy of 10 years ago and has been a wonderful inspiration to us for countless weddings and engagements. Our experiences through the city at the Fairmont Royal York, Casa loma, Palais Royale, One King West, King Edward Hotel, Trump International Toronto, Ritz Carlton, U of T, Shangri-La, Art Gallery of Ontario, accolades as well as the experience needed to excel and capture gorgeous images of brides and grooms at all different kinds of weddings big and small and makes us one of the best Toronto wedding photographers. 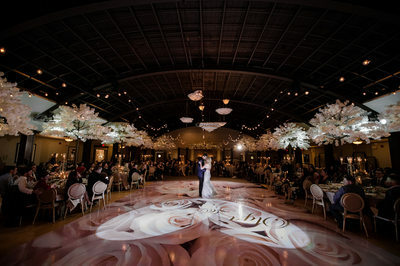 Learn more about Toronto weddings here. Vineyards, luxury hotels and Canada's top wedding destination is what describes the Okanagan Valley including Kelowna, West Kelowna, Kamloops, Salmon Arm, Vernon, Silver Star, Sun Peaks, Oliver and Chase and if you are looking for the best wedding photographers in the Okanagan take a look at the photos by David & Sherry Photography. We have years of experience capturing moments and natural emotion in places like a vineyard or winery, golf course, lakeside resort or hotel. Some of our favourites include, Sun Peaks, Silver Star Mountain, Hotel Eldorado, CedarCreek Estates Winery, Delta Hotel Grand Kelowna, Summerhill Pyramid Winery, Painted Rock Estate Winery, and Crescendo. For a more complete list of venues have a look here. Some brides and grooms choose to get married north of Toronto in Muskoka because of it's relaxed feel or the connection their family has to the region due to their summer cottage in Bracebridge, Huntsville, Gravenhurst, Lake Muskoka, Rosseau, Brooklands Farm, or one of the other surrounding lakes and beautiful places. 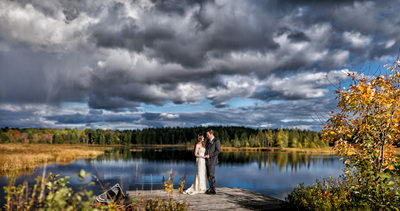 If you are having your wedding and are looking for the best wedding photographers in Muskoka we have experienced all kinds of luxury weddings at resorts and at private cottages on the lake shore. If you're looking for places to get tie the knot check out this page. Owen Sound which is located on Georgian Bay is a summer destination for weddings. There are many farm and cottage weddings held on the beach with a water view from Owen Sound to Wiarton. 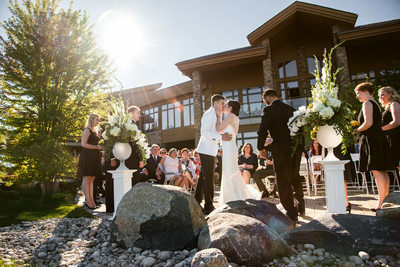 The best of the wedding venues in Grey-Bruce County is Cobble Beach. We have had years of experience in the area and know many secret spots to take our clients to create stunning images for their weddings. Sherry and David frequent the winter and summer destination city of Collingwood and Blue Mountain for wedding photography. We are often considered the best wedding photographers in Collingwood because of our expert use of lighting, composition, mood, moments, natural emotion and creativity to create stunning wedding photos for our brides and grooms. We are often shooting weddings at the Blue Mountain Convention Centre, the peak of Blue Mountain, Cranberry Resort, The Collingwood Arboretum, City Hall, Craigleith Ski Club, and the many churches found in Collingwood. One of our favourite destinations across Canada is the corridor between Banff and Jasper. This stretch of mountains is a favourite among all who have been there and includes Lake Louise, Moraine Lake, Peyto Lake, The Glacier Parkway, Canmore and Jasper. Our friends think we are the best wedding photographers in Banff and for good reason as our use of landscape photography and portraits lends well to creating vast mountain vista wedding photographs in the Canadian Rocky Mountains. We frequent the Fairmont Banff Springs, Fairmont Lake Louise, Fairmont Jasper Lodge, Kicking Horse Mountain Resort, Emerald Lake Lodge, and many other hotels and wedding event venues in western Alberta. 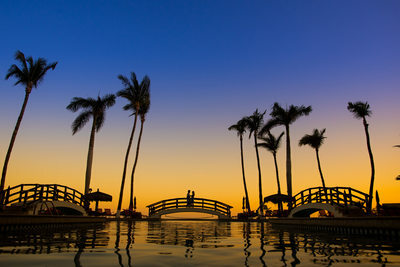 The majority of our wedding commissions would be considered destination weddings. We are very comfortable packing up our gear and heading to the airport to go to whatever destination you would like us to come to. Mexico, Costa Rica, Jamaica, Italy, Rome, France, Paris, Florence, Amalfi Coast, Vietnam, Shanghai, Hong Kong, and New Zealand are all places we are familiar with and would love to accompany you wherever your travels take you. Give us a call or drop us an email to inquire about your wedding and we will send you a custom package including all of our travel and give you an all in one price where there are no surprises and let us create for you a fairy tail memory. A big part of what makes up wedding photography is doing the pre-wedding engagement photo session. You can read more in depth about them here, but this is an opportunity for us to get together and to get to know one another before the wedding day. The time we spend with you will help you to understand what we are looking for with posing direciton, angles, compositions and emotion. This will help you to get the most out of your wedding day photography time as we will be able to work more quickly and create more looks for your album. We are continually adding a fashion and real emotion look to your photos and love to choose fantastic locations like Casa Loma, Stanley Park, Whistler, Banff, Moraine Lake, Lake Louise, High Park and destinations across Canada. We love to collaborate with you to choose your photo locations for your wedding. 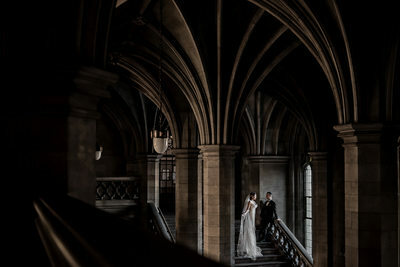 A fantastic location isn't necessary as we are always looking for the best light to highlight our brides and grooms, but the location can give a whole different feel or look to your photos. 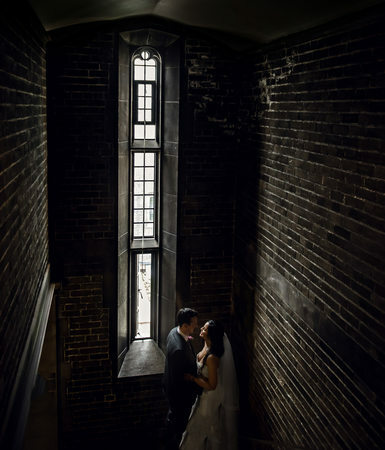 Take for example the U of T Knox College which has a gothic architectural design and dark and moody feel to it vs. choosing to do your photos at the Evergreen Brickworks or Humber Bridge in Toronto. These different venues are either bright or dark, old or new, textured or simple and the combination of those different things will change how your finished wedding album will look. Having your photos at Casa Loma or Graydon Hall Manor will give you a feel of old world luxury and charm while the distillery district is more industrial with lots of brick and breweries. High Park and the Scarborough Bluffs are more beach and nature feel inside the city as would be Stanley Park and Cypress Mountain. We are happy to discuss with you the look and feel you would like for your wedding and choose a location that will be just perfect for you. One of our favourite things in our business are the emails and notes we receive from our clients once we have delivered them their photos or wedding album. We have received hundreds of reviews on Wedding Wire, Google, Facebook and Yelp and features on blogs and in magazines from many years of working in the wedding industry and would be happy for you to check out more here. After combing through the hundreds of options we have for album producers we choose to offer a hand made Italian wedding album company that has many different options to produce just the right feel for your heirloom wedding album and parent books. You can read about them here. What we would consider to be the best wedding venues in Canada would be Graydon Hall Manor, Casa Loma, Trump International Toronto, Palais Royale, The Carlu, Ritz Carlton, Shangri-La, Fairmont Royal York, Cobble Beach, Brooklands Farm, Taboo Resort, Liberty Grand, Cambridge Mill, Fairmont Banff Springs, Fairmont Lake Louise, Fairmont Jasper Park Lodge, Summerhill Pyramid Winery, the Grand at Sun Peaks Resort, Crescendo Kelowna, Predator Ridge, Hotel Eldorado, CedarCreek Estate Winery, Fairmont Waterfront, Trump International Vancouver, Sutton Place, Fairmont Whistler, Grouse Mountain, Ritz-Carlton Vancouver, Emerald Lake Lodge, Kicking Horse Mountain Resort, Swan-E-Set Resort, and the Fraser River Lodge.